The books to be included as vintage have to date from before 1960! Obviously younger bloggers have a different perspective on what is a vintage mystery. With my other commitments, I am only entering this one at the basic level-‘In a Murderous Mood’, which involves reading 4-6 books. 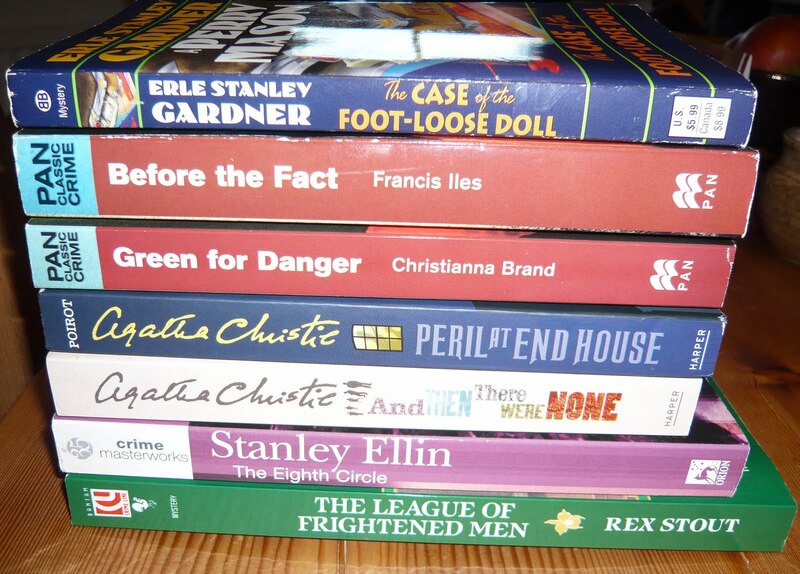 I have lined up the following seven books from some of the greatest crime writers of all time, and will select four [or possible six] to read during the year. >Norman – You've chosen some fine novels!!! They certainly are vintage, and I look forward to reading what you think of them :-). >Welcome to the Vintage Mystery Challenge! I knew I was pushing the envelope on "vintage" by setting the 1960 cut-off…but I really wanted to be able to let participants include the Lockridges and they wrote some really good ones all the way through the 50s (Richard kept writing through the 70s, but I like the earlier ones better). Like your list (I love Green for Danger! )…will have to check out Stanley Ellin, I'm not familiar with him. >Thanks Margot- I have read Christie's And then there were None before, but as it was back almost in the vintage period I have forgotten most of the plot! >Bev, thanks for setting up this challenge. I note the CWA Ellis Peters Historical Award is for books set 35 years in the past!So your 1960 time limit is fine, and I have sneaked two books from 1958 in there. Stanley Ellin's The Eighth Circle won the Edgar in 1958. Now I am not familiar with Richard Lockridge so I will look him up. One of the best things about blogging is discovering so many new authors, although it is not so good for the bank balance. >Oops, you've counted Christie's "Peril" twice. 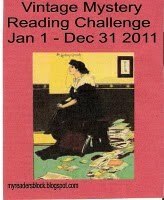 ; ) I'm doing this challenge, too, but haven't even thought about which books — may pirate some of yours if you like them. >Thanks Karen, I hadn't noticed that, unfortunately my brain is as vintage as the books but not as clever.